Situated in Florence beneath the tower of San Niccolò, on the banks of the river Arno in Florence, La Bottega del Buon Caffè is a breathtaking Michelin starred restaurant and exclusive lounge bar. The restaurant interior was designed by international designer, Jeanette Thottrup who seamlessly combined the very finest elements of both classic and contemporary design with luxury furnishings and artisan accessories sourced from around the globe. The open kitchen adds theatre to the dining experience, allowing diners to glimpse the technical mastery within. Under the capable hands of Michelin Starred Head Chef Antonello Sardi, the restaurant is a well oiled machine that continues to reach new heights in fine dining. The award winning menu captures the beauty of the Tuscan country harvest using a ‘farm to plate’ philosophy from local suppliers. Most of the vegetables are from the restaurant’s own farm which is located at the award winning 5 star hotel Borgo Santo Pietro. The farm supplies fresh produce everyday including organic eggs, heritage vegetables, seasonal salads, flowers, honey and herbs. The restaurant’s impressive collection of exceptional wines has been put together by the owner Claus Thottrup with the assistance of sommelier Vito Angelilli. Together the pair have designed an extensive cellar which boasts some of the world's rarest and most sought-after vintages. We loved tasting our way through the 8 course degustation. A highlight was the renowned Crème Brulee of Foie Gras served with Red Onion Sorbet, Cocoa Beans, Pears and Brioche Bread. 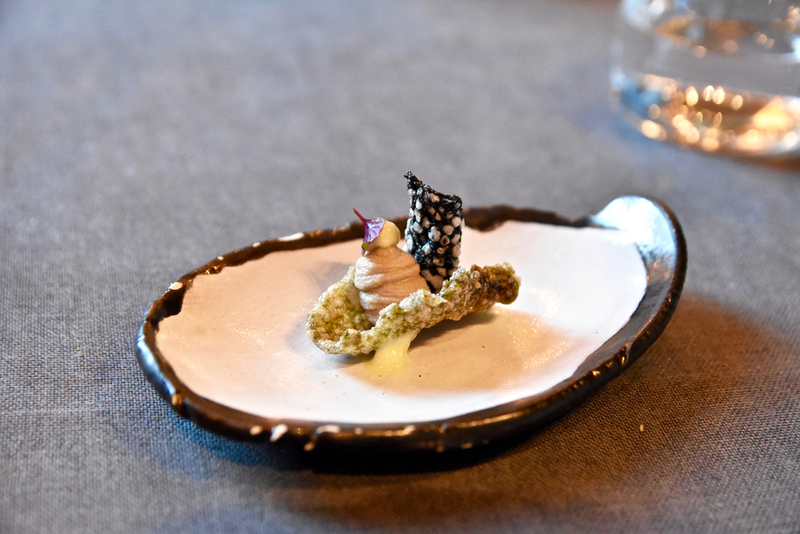 The dish was a cohesive and exquisite explosion of flavour with the sweetness of the red onion sorbet perfectly complementing the creamy foie gras. Another wonderful dish was the Roasted Octopus, Ancient Legumes, Fermented Carrots and Beluga Lentils. The octopus was cooked to absolute perfection - with a crisp, charred exterior giving way to a tender interior. Together with the various textures of the legumes and the tartness of the carrots, it was a beautiful dish. To finish La Bottega's take on the Cheesecake is wonderful. Picture perfect in appearance and even more outstanding in taste. La Bottega del Buon Caffè amazes by serving the finest locally grown food, exquisitely prepared and beautifully presented within a relaxed, elegant and thoroughly modern environment.